Jayme is a tiger. An LSU Tiger. After graduation, she made the big leap from Baton Rouge to San Francisco where she began working for a full service marketing and design firm on accounts like Hitachi Global Storage Technologies, Enterprise Events Group and Gap. 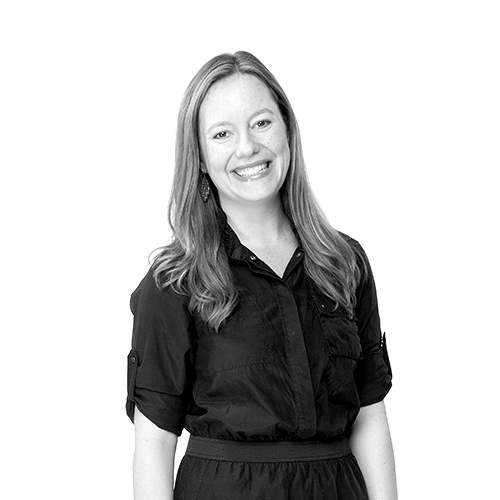 After sharpening her marketing and account planning skills, she left San Fran for San Antonio and The Atkins Group. Luckily for us, she brought her positive attitude and exceptional understanding of the marketing cycle, which eventually landed her at the forefront of our Account Service team.During her eight years at Atkins, Jayme has developed a passion and talent for tourism and leads a number of those industry specific accounts. She is a member of TTIA’s Communications Committee and takes any opportunity to hop on a plane and go! Outside of work, you can find Jayme at her neighborhood yoga studio.Jayme will always be a tiger of the LSU stripe. But she says her home is San Antonio. She says the attitude and spirit of the people here remind her of home in Lafayette…without all the gators. Plano Convention & Visitors Bureau, South Padre Island Golf Club, Spurs Sports & Entertainment, South Padre Island Convention & Visitors Bureau, Posadas USA, Valley International Airport, Louie’s Backyard, Sheraton South Padre Island Hotel and Condominiums, The Gates on Beaver Creek, South Padre Beach Resort, Laredo Convention & Visitors Bureau, SAS Shoes, La Posada Hotel & Suites, Radisson Hotels & Resorts, Jon Hart Design, CPS Energy and South Padre Island BikeFest.